I remember standing in the Hogan Stand September 2003 and saying to my son, “You have no idea how long we have waited for this.” As a Tyrone man, I was of course talking about the fact that our county had just won the All Ireland for the first time. I grew up in the sixties and seventies when Tyrone football was not really a force to be reckoned with and to see Peter Canavan hold the Sam Maguire was something we only dreamt about. I was glad God let me live to see the day. We all have incidences like this in our lives. The Derry people had it in 93; Armagh and Down had their turn as well. I had another one of these events in my life again this week when Eamon Gilmore had to reopen the Vatican Embassy. Eamon has learnt one of those harsh realities that people never seem to learn: the Catholic Church does not go away just because we don’t like that fact that it proclaims the word of God. The Catholic Church does not tell us how to live; all the Church does is proclaim what God says and what God says is true. When you talk to people who hate the Church you invariably find that they are living a life that goes against God’s law. People hate the Church because the Catholic Church is the conscience of the world. Sheryl Sandberg also knows a good man when she sees one. Sheryl has recently become the world’s youngest billionaire and is Chief Operating Officer of Facebook. She happened to be at the big economic conference in Davos and one of the first people she met after she was declared the world’s youngest billionaire was Uncle Enda. “And Ms Sandberg later responded with a positive message of her own – describing Mr Kenny as a brilliant leader of a brilliant country. “Enda Kenny, taoiseach, (sic) on Thursday met Sheryl Sandberg, chief operating officer of Facebook, at the World Economic Forum annual meeting in Davos, Switzerland, and he said later that he had reassured her that Ireland's headline corporation tax rate will not change. Different reporters and magazines take different outlooks on stories. My belief is that Eamon Gilmore knows that closing the Vatican Embassy was a huge political mistake and opened it again ASAP. The bit about Pope Francis can be taken with a pinch of salt as can Sheryl Sandberg’s praise of the great wee country that Ireland is. I wonder if Facebook would stay if Ireland’s corporation tax went to the European average of 23.5%. I think that then Ms Sandberg would find India or somewhere else a great wee country. If the Free State was not an international tax haven, Ms Sandberg would be gone faster than a DUP leader. I sat up half the night (for me) to watch the Paisley interview. 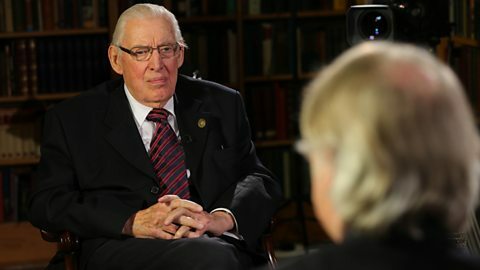 No one should have been surprised at the accusations that Robinson and Dodds ousted Paisley. These men are political animals and their time had come. Ian, at 82, was becoming too old and tired for the job. They knew he was never going to step down and that if they did not get rid of him, they were never going to get their turn; so they gave him a little push. That was not what surprised me. What really surprised me was the bitterness of his co-religionists who ousted him as head of the church that he had founded simply because he smiled too often in the company of Martin McGuinness. Surely being sociable and mannerly is not a crime. Well it can be, if you are sociable and mannerly with the wrong people. If what Ian and Eileen said was true, then the depth of the bigotry and intolerance of some of our fundamentalist evangelical Christians knows no bounds. Politicians are pragmatists; they do what has to be done. The Paisley interview did more to explain the failure of the Haas talks than all the articles in all the media spread over the world. If they had shown the interview to Haas away back last year he could have gone home and saved us all a lot of bother and money. Well, this week we all found out why Ian had to shout: the RUC couldn’t hear him. There are 8,641 deaf former police men walking around Northern Ireland, God love them. I have to smile when I think of all those Unionist politicians on TV telling us that the RUC were the best trained and equipped police force in the world. They were trained marksmen using the best weaponry in the world. They could shoot a fly in the eye at a hundred paces—but they had no ear plugs. But the story grows ever more ridiculous; these 8641 former RUC men have cost the taxpayer, you and me, £135,357,689. The breakdown of this will make you really laugh: compensation, £70,161,788, Legal and court costs: £65,195,901. I shouldn’t say it but I have to say it: I wonder how many Fenian solicitors got a slice of the new RUC retirement fund cake? The things I have seen in my life: Paisley ousted, Ireland playing the Hoki-Pokey with the Vatican Embassy and the RUC standing with their fingers stuck in their ears. I am also of that generation that saw the 1968 Student Uprising in France and the rest of Europe, when students fought and died for civil rights, an end to communism and equality for all. Even we in Northern Ireland had the People’s Democracy, a group who marched all the way from Belfast to Derry over the first four days of January 1969. For their efforts they got the life beaten out of them by the good decent people of Ulster. They were attacked at Burntollet by a group of loyalist protesters. They came out of the fields shouting obscenities, wielding cudgels and carrying wooden bats with nails sticking from them, but the RUC couldn’t hear them. Those were the days when students were students. At last we are having a real protest again by the student population of Northern Ireland. The students at the University of Ulster, Coleraine, are protesting about something of great importance to mankind: the university is closing their common room. As 25,000 people a day die of starvation, as Assad kills his people in Syria and as our country’s social fabric falls apart, all the students of Coleraine can find to complain about is the closure of the common room. “The dispute is about planned changes to the senior common room. The university proposed using the area for meetings and to create new teaching facilities. The protesters claim it is a sign of further "privatisation and marketisation" of universities. Chloe Gault, who is one the protesters, told BBC Radio Ulster: "I had to leave to go to work and just as I was leaving they cut off the water, electricity and boarded up an emergency exit that leads to a lift. "We are assuming that outside contractors and some university staff had been ordered to come in and do these actions. The university did not tell us that this was going to happen," she added. What hope is there for this wee province when all our young people have to complain about is losing a common room? If the young people don’t want to change the world then who is going to change it? Perhaps we should all go to the common room and have a smoke of an ‘e-cigarette’ and chat. Only, even the ‘e-cigarette’ is becoming frowned upon. 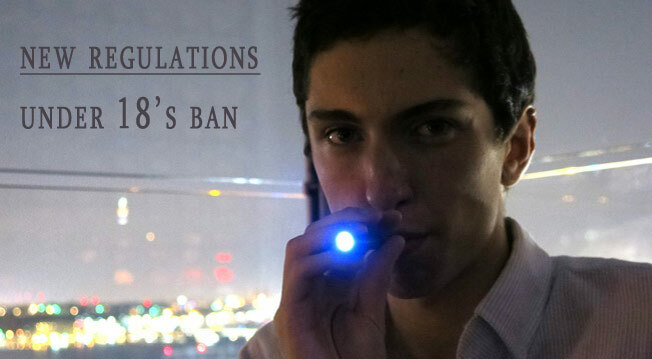 There are calls to ban the sale of the ‘e-cig’ to anyone under 18 years of age. I heard something very interesting on the news on Sunday morning. It was a news story with two words missing that should frighten the life out of unionists. Do you notice the two words that are missing? Well, always before when laws were changed they were changed in England and Wales. The ‘and Wales’ bit is gone. The three countries of the island of Britain are growing apart in the sense that each is now making laws that apply to their own area. Of course the unionist, who holds dearly to the idea of one big UK, will say that these are small issues but the creeping devolution has begun. As time goes by England, Scotland and Wales are growing more and more like the United States of America, but with one difference, both Scotland and Wales are separate countries, with large groupings that already want independence. There are no such national identities in the USA. Over time things change and we cannot stop the progress of time. After all these years of thinking that water comes from a tap I have finally found out where it really comes from. “With the Dawn spacecraft now heading towards the dwarf planet/asteroid Ceres, the mission has suddenly gotten even more intriguing. The Herschel space observatory has discovered water vapour around Ceres, and the vapour could be emanating from water plumes — much like those that are on Saturn’s moon Enceladus – or it could be from cryovolcanism from geysers or icy volcano. Now they are saying that all the water on Earth came from outer space and that this is proof that life came from outer space too. Great! But one question.....where did all the water in outer space come from and where did the life that came from outer space come from? No matter how you look at it, at some point in the past the universe has a begining....and if there is a beginning there is a beginner, simple as that. And the beginner, whom we call God, was a shrewd fellow. He knows a thing or two. The people of England, Scotland, Wales and Northern Ireland, the countries that made up the former United Kingdom, were badly let down by a black horse at the weekend. The computer system at Lloyds Bank has collapsed like the British Empire. We are becoming too reliant of fallible systems. We throw up powerful symbols like horses and think that we are infallible but a glitch in a computer puts an end to our feeling of power. Rather a tenner in my pocket than a horse on my card!! !